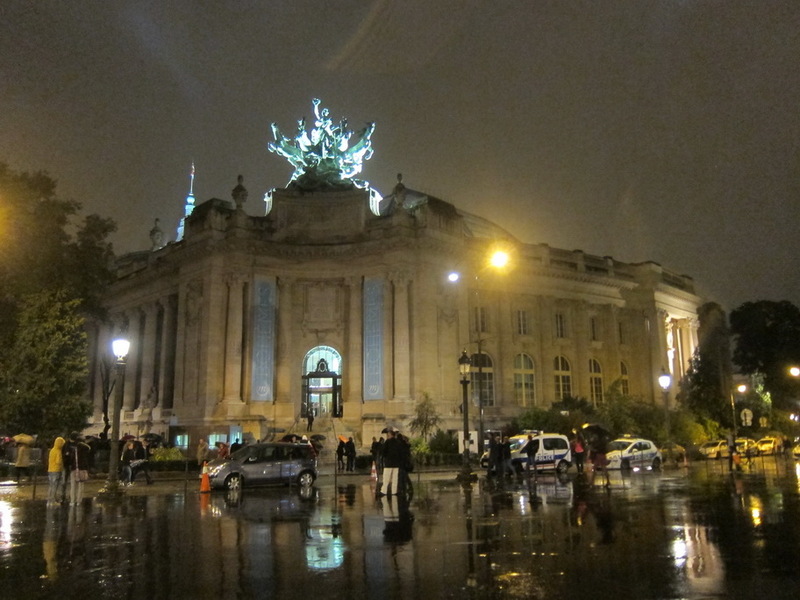 Is Paris the Most Beautiful in the Rain? Mr. Selfish and I enjoy Woody Allen films immensely. 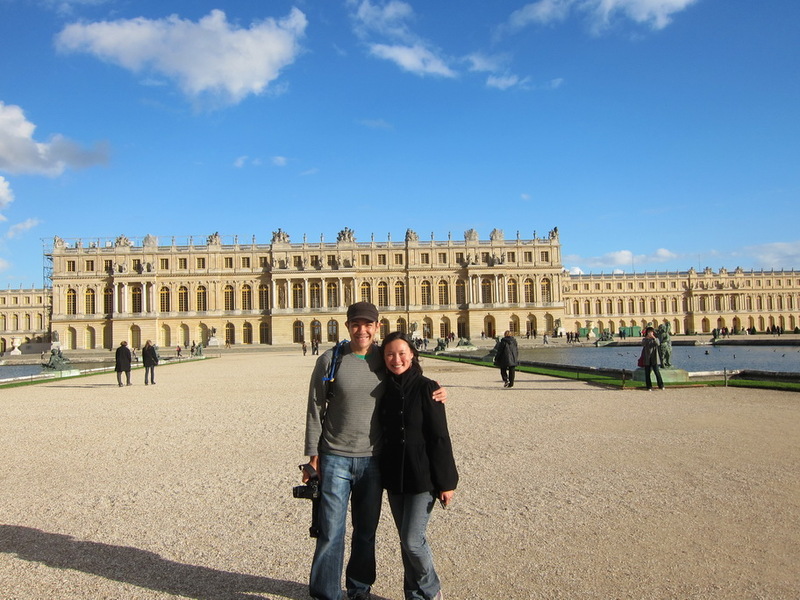 We watched “Midnight in Paris” in the theaters prior to listening to any of the hype. 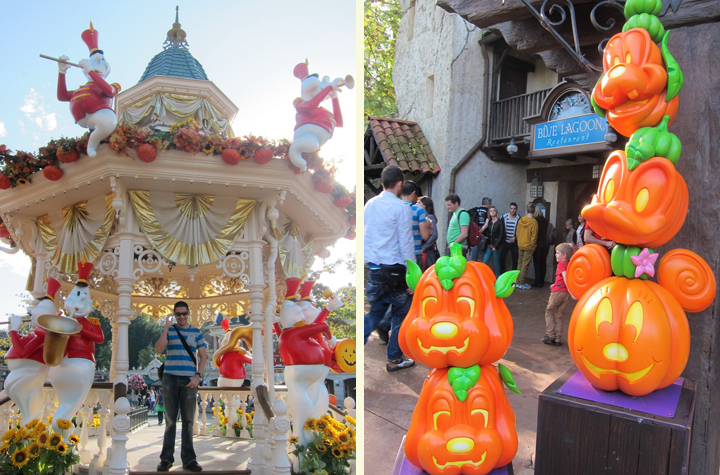 We loved it. Since being in Paris, we’ve recently re-watched it and found it to be just as charming as our first viewing. 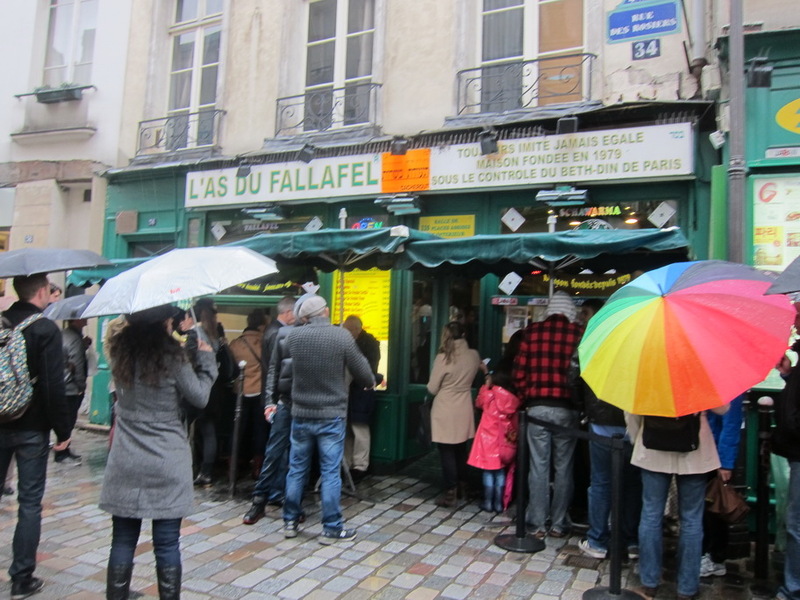 Gabrielle: Actually, Paris is the most beautiful in the rain. Gil: I feel that’s what I’m always saying. I couldn’t agree more with you. Yes, it is more beautiful. 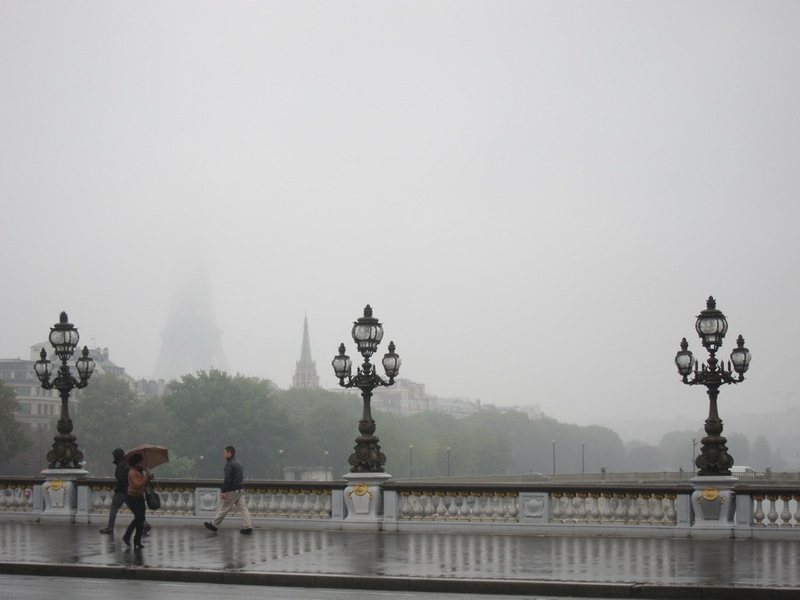 I feel that I have first-hand knowledge concerning Paris in the rain since it has rained for many, many a days since we started living here. 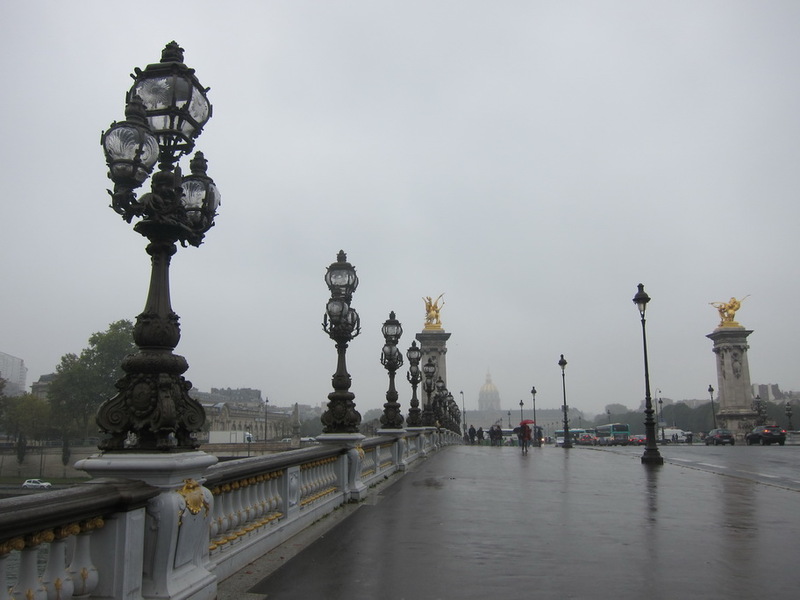 I even took photographs of Pont Alexander III, which is between the 7th and 8th Arrondissements, to compare whether Paris is indeed the most beautiful in the rain. 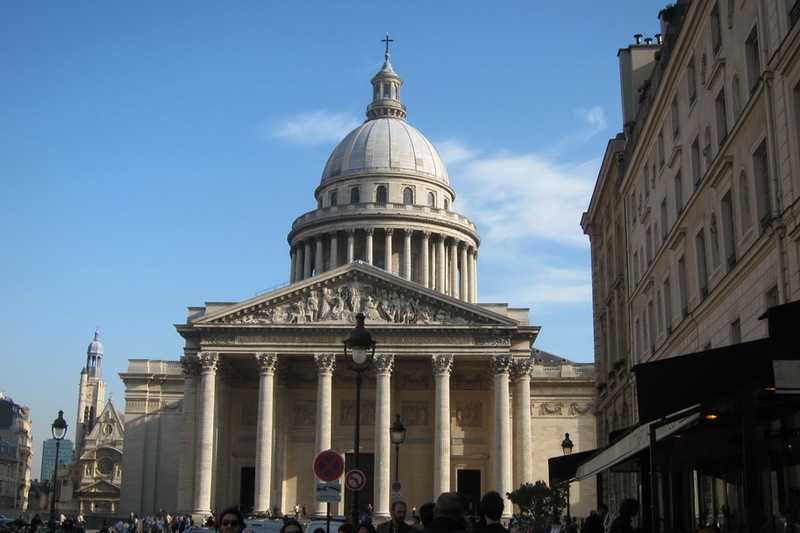 Since Mr. Selfish and I have been in Paris for more than three weeks, we’ve walked past the Panthéon in the Latin Quarter many a times. We waited for a sunny day in order to climb it and enjoy the view of the city. 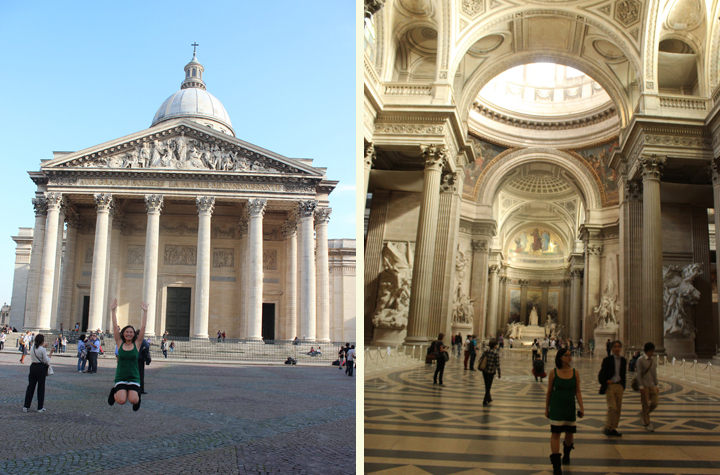 That sunny day came, and we purchased our 8.5 euro tickets to the Panthéon. 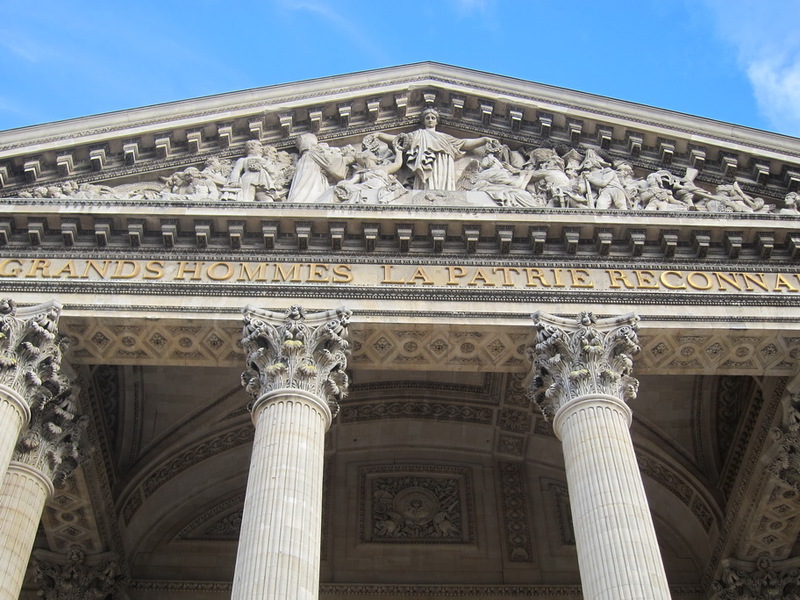 In 1744, King Louis XV decided that the Panthéon should be built in Paris and modeled after the Patheon in Rome. Due to financial issues, the building wasn’t finished until 1790. 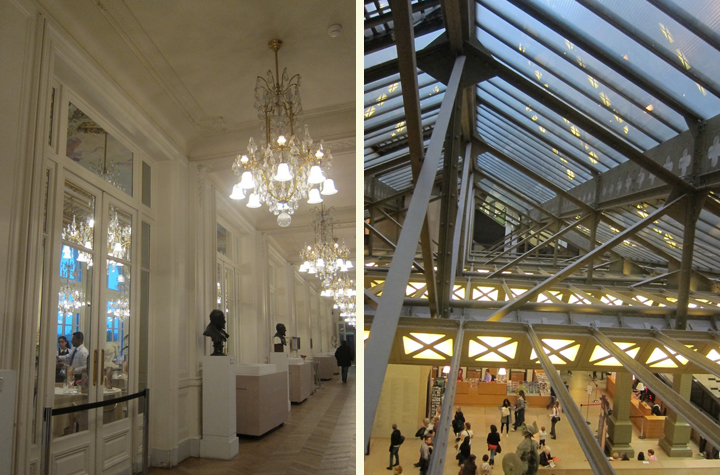 Mr. Selfish and I visited two wonderful musées in the 7th Arrondissement – the Musée d’Orsay and the Musée Rodin. 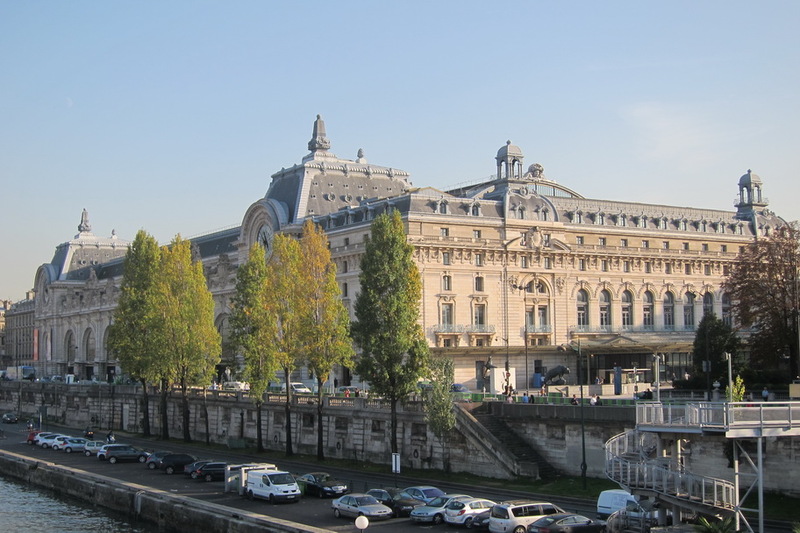 We purchased combination tickets to the Musée d’Orsay and the Musée de l’Orangerie (which is in the 1st Arrondissement). 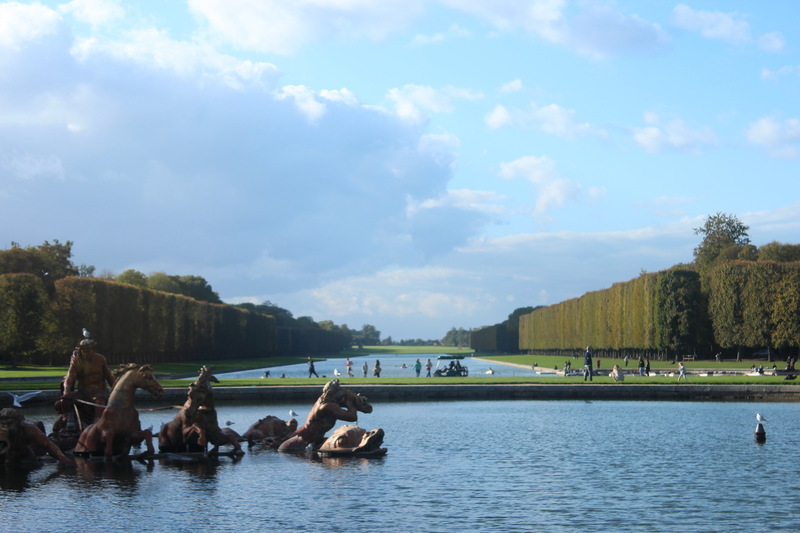 In conjunction with our trip to Giverny, these musées completed our Monet tour of Paris. 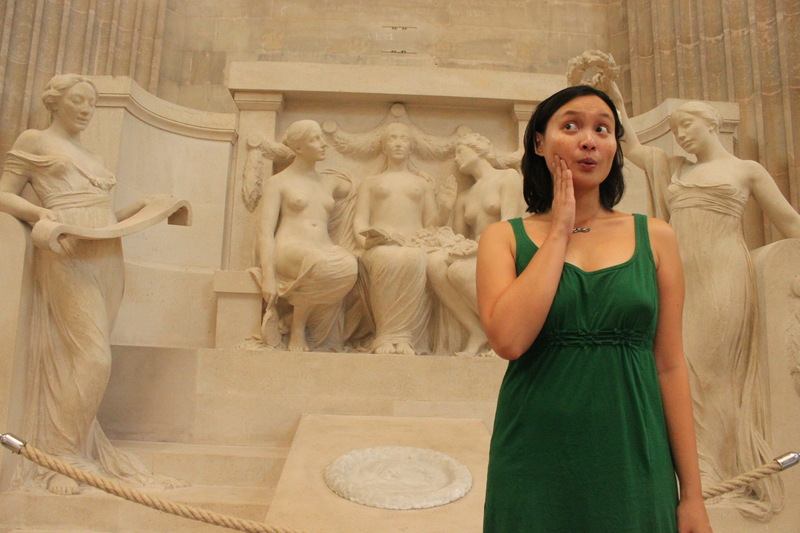 Unfortunately, photographs are not technically allowed in the Musée d’Orsay, so you have to imagine all of the beautiful Monets in there. 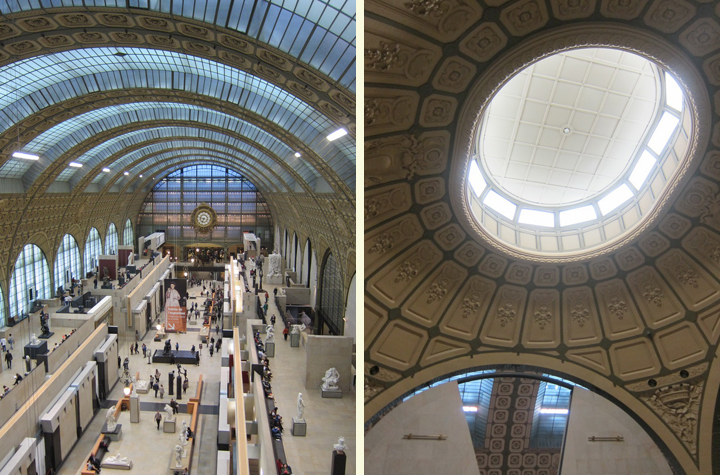 In any case, the building itself was gorgeous since it used to be a train station – Gare D’Orsay. 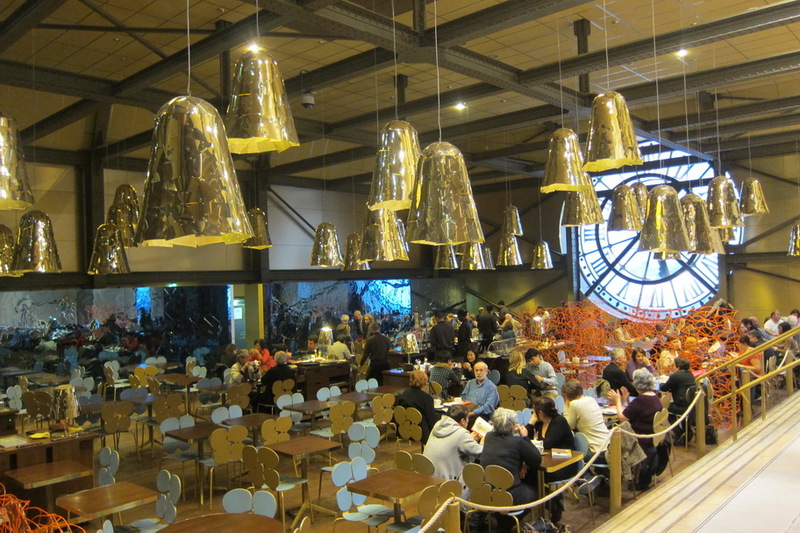 Mr. Selfish and I thoroughly enjoyed the Musée d’Orsay – not only because the building itself was elaborate but because the impressionism art collection was quite extensive. 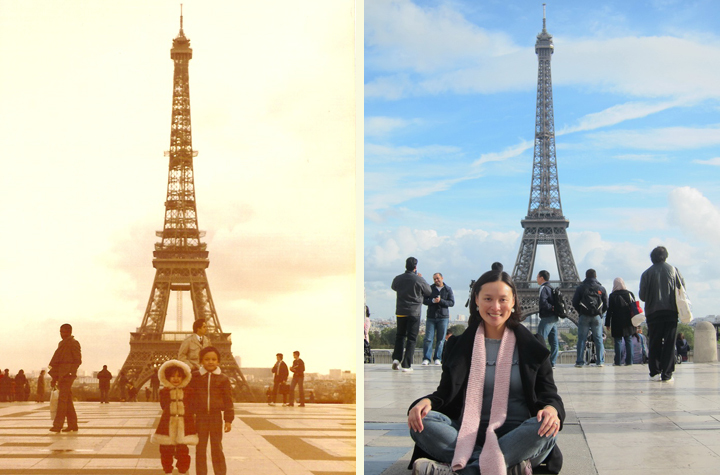 I was born in Paris, France. I lived here until I was four years-old, at which time my parents moved the family to good ol’ Hampton, Virginia. 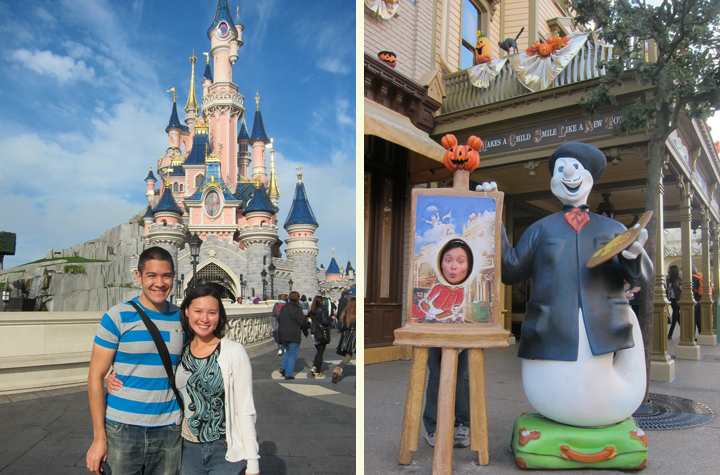 This is part of the reason why I wanted to spend six weeks in Paris during our year abroad. 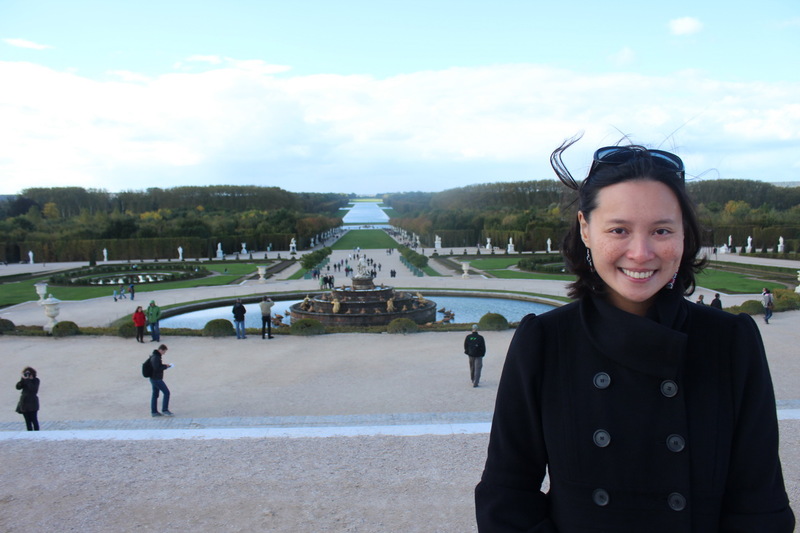 Plus, it has been great to be able to visit and get to know my Parisian family – my cousin, aunt, uncle, and grandmother all still live here. 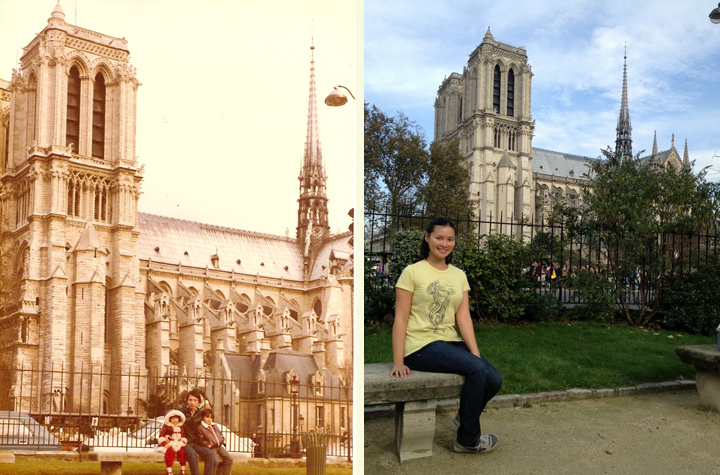 I had scanned in some old photos from Paris years ago from my parents’ photo albums. 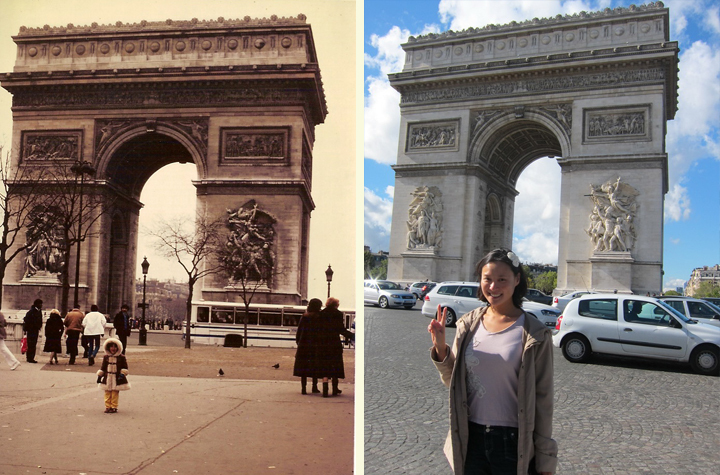 I was looking through them the other day while in Paris and figured it would be fun to attempt to reenact some of the iconic ones. Here are the results. My current camera lenses and my dad’s old camera lenses are certainly different and I’m a lot bigger now, so the perspective is a little off. In any case, I hope you enjoy them! 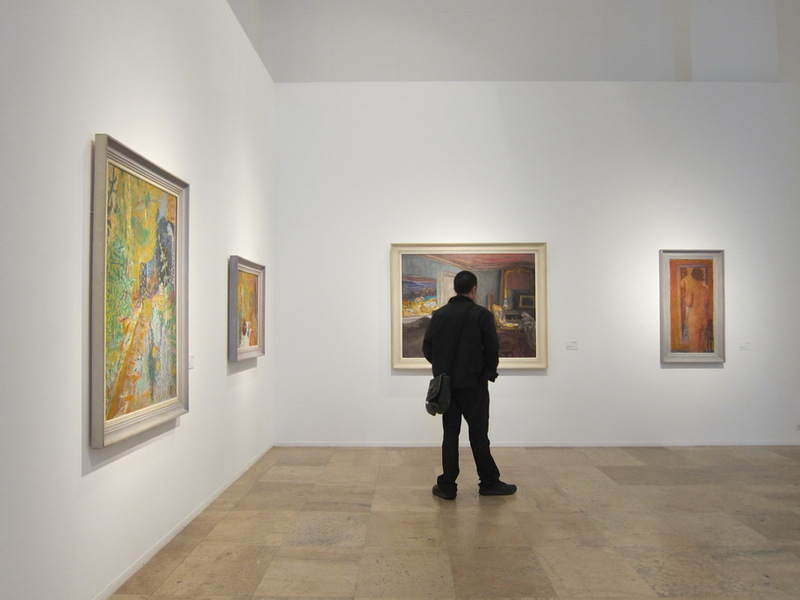 As I’ve noted previously, Mr. Selfish and I don’t tend to enjoy modern art museums. 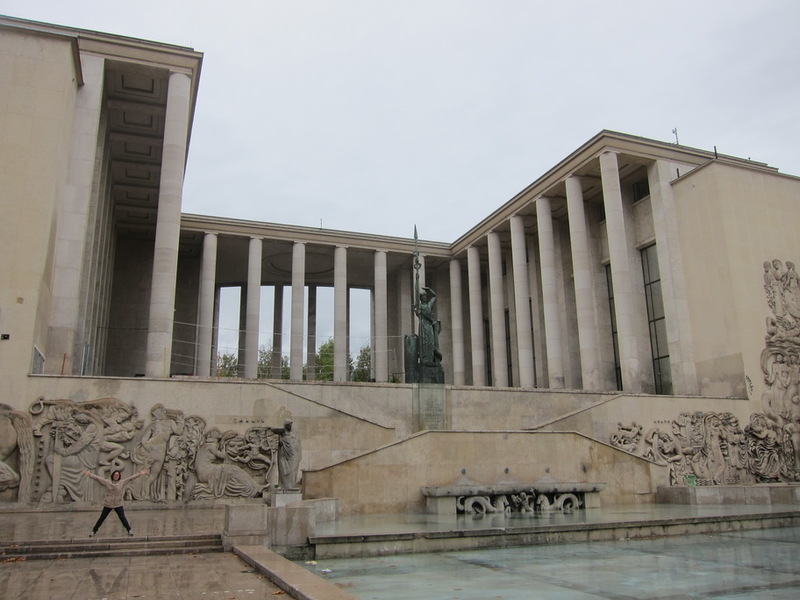 However, we decided to give the Musée d’Art Moderne de la Ville de Paris in the 16th Arrondissement a chance – especially because it is free. I must say that I was once again disappointed by this modern art museum. 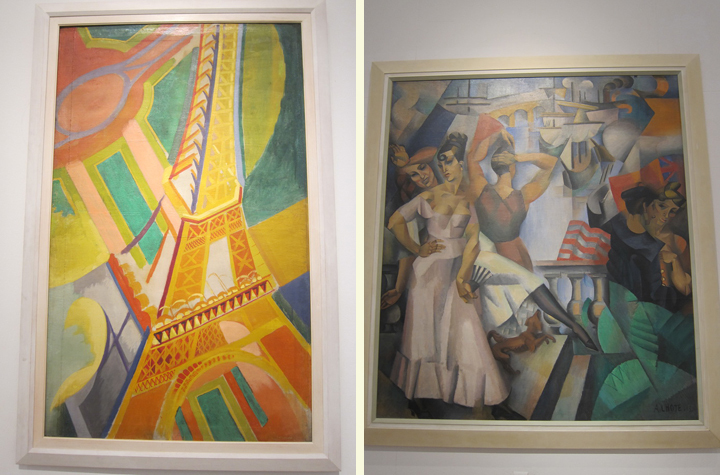 According to its website, there are numerous paintings by Picasso and Matisse. 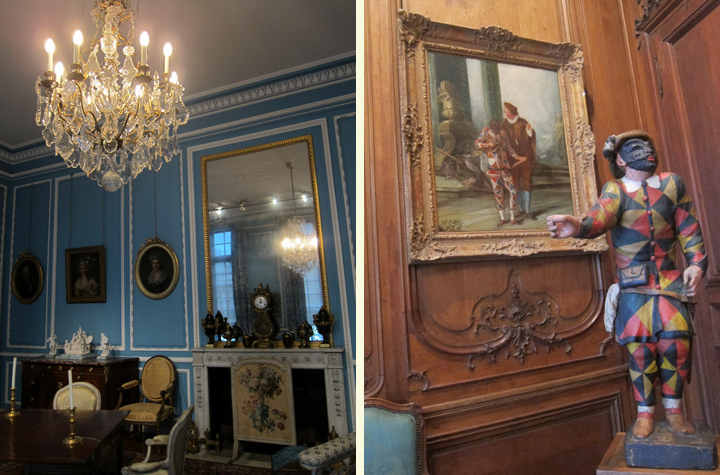 I didn’t see any such paintings however. 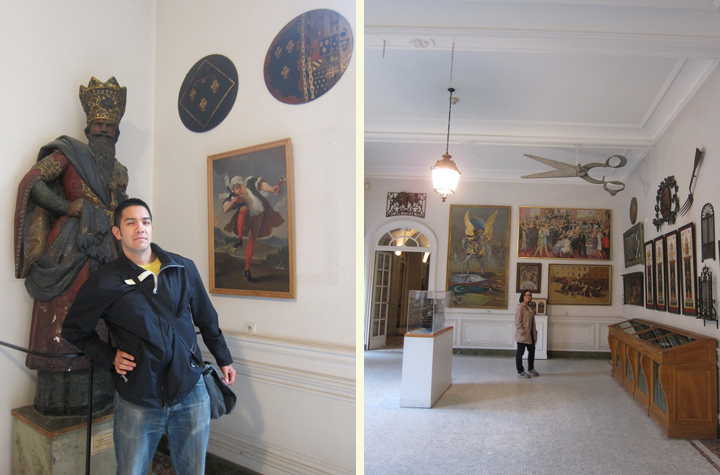 Large portions of the museum were shut down when we visited, so those paintings must have been in those areas. 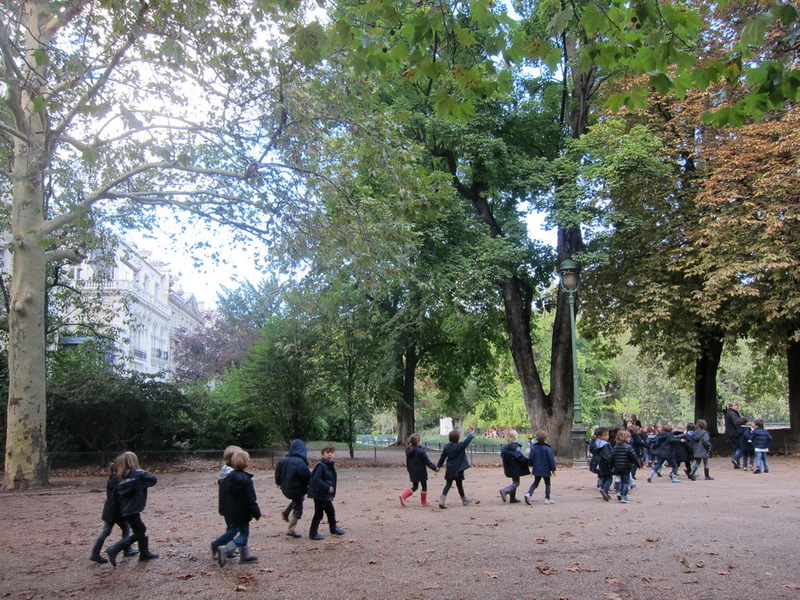 As Mr. Selfish and I were looking for a museum, we strolled through Parc Monceau in the 17th Arrondissement. 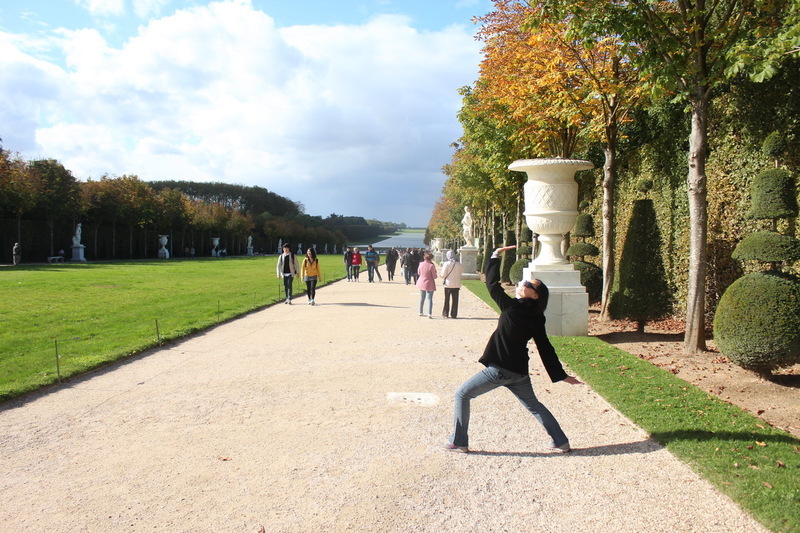 It was an unexpected surprise since the park was particularly tranquil and serene. 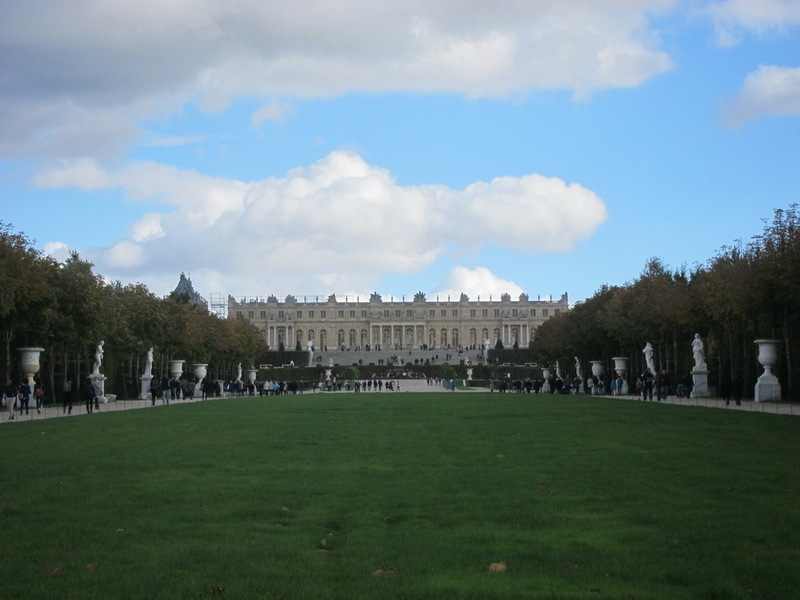 In 1769, the Duke of Chartres purchased the lot on which Parc Monceau sits and sought to built a garden in the English style (as opposed to the French style). 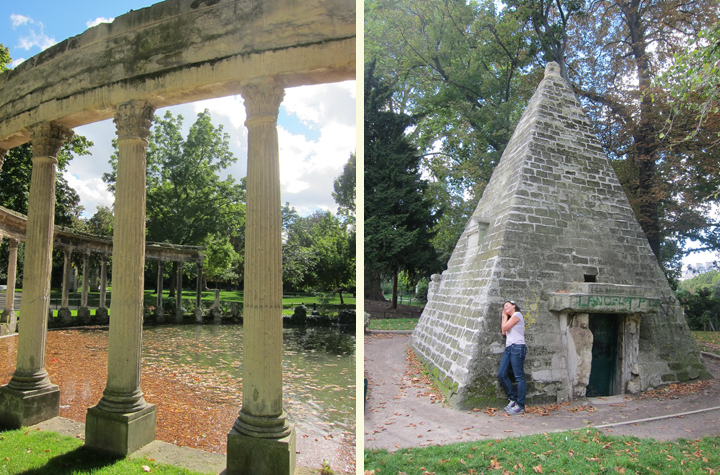 The Duke also added random small-scale architectural features such as a windmill, pyramid, and some Corinthian pillars. 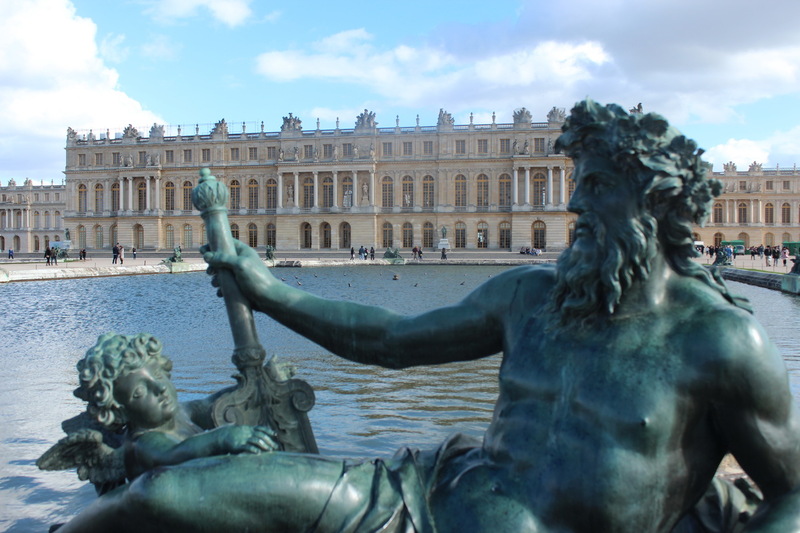 When the Duke was killed in 1793 during the French Revolution, the park was sold to the City of Paris. 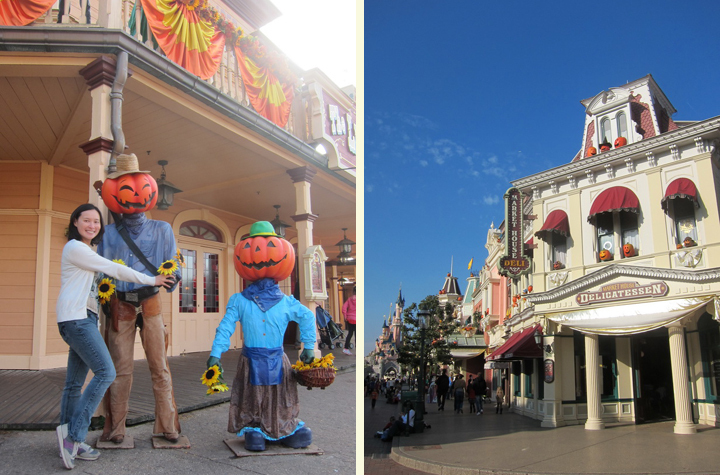 It was a very interesting park, and Mr. Selfish and I were glad to have happened upon it. 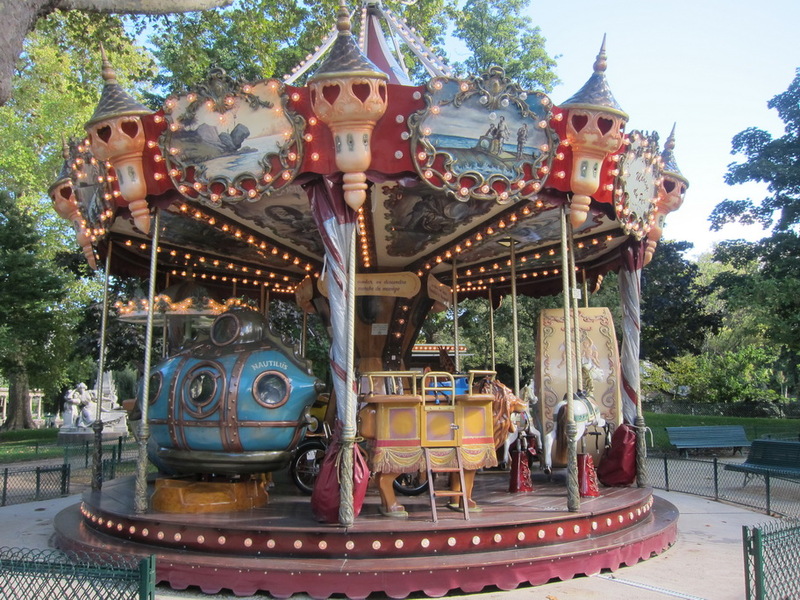 Parc Monceau also had the most awesome carousel I’ve ever seen; it looked to be Jules Verne themed. 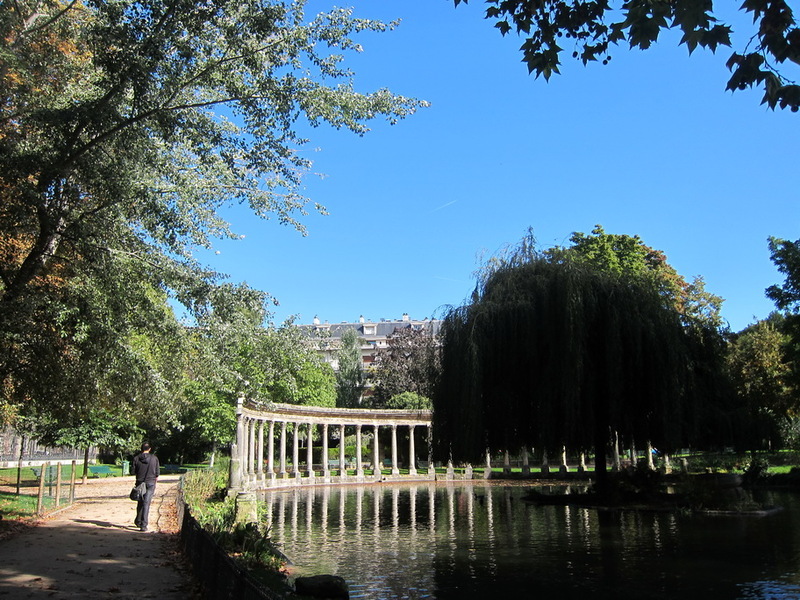 Disclaimer: There is some dispute as to whether Parc Monceau is in the 8th or the 17th Arrondissement. Based on the map, it looks like it borders both arrondissementsto me. 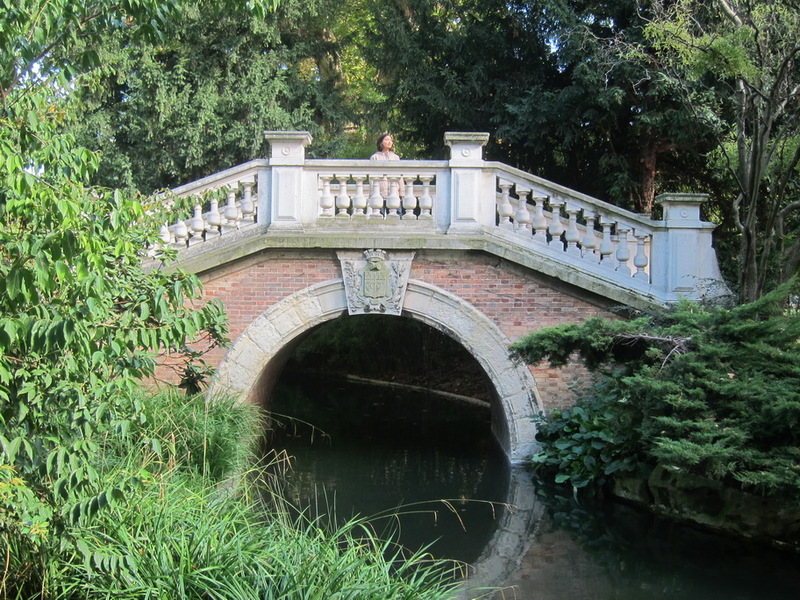 However, since I have tons of blogging material for the 8th, I will consider Parc Monceau as being in the 17th. 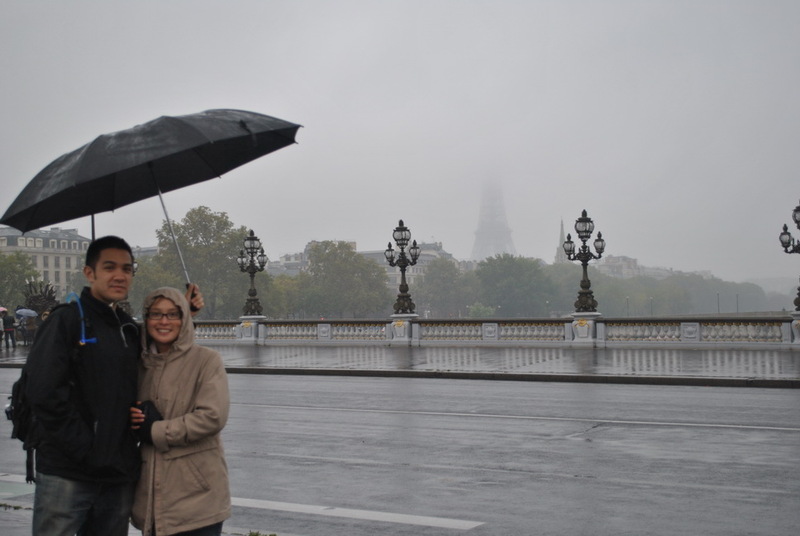 Mr. Selfish and I were very unlucky to have lots and lots (I mean – LOTS) of rain during our first couple of weeks in Paris. 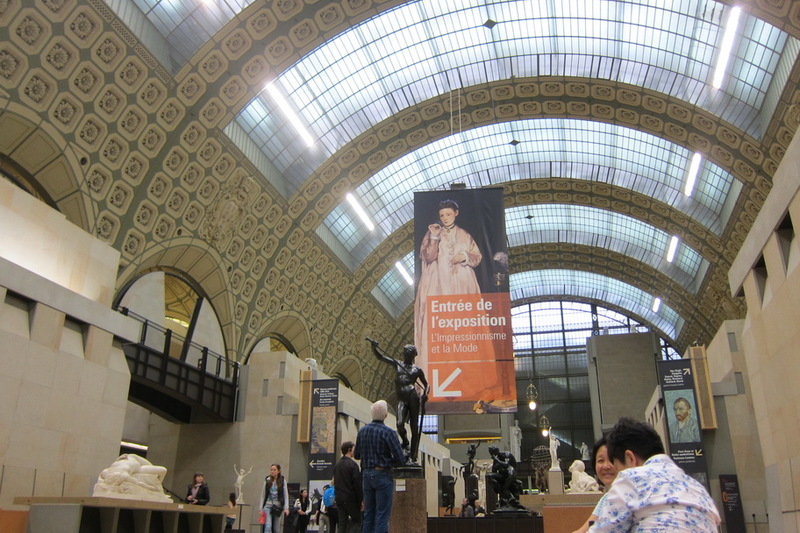 I discovered that one of the best ways to spend a rainy day in Paris is to visit a museum. 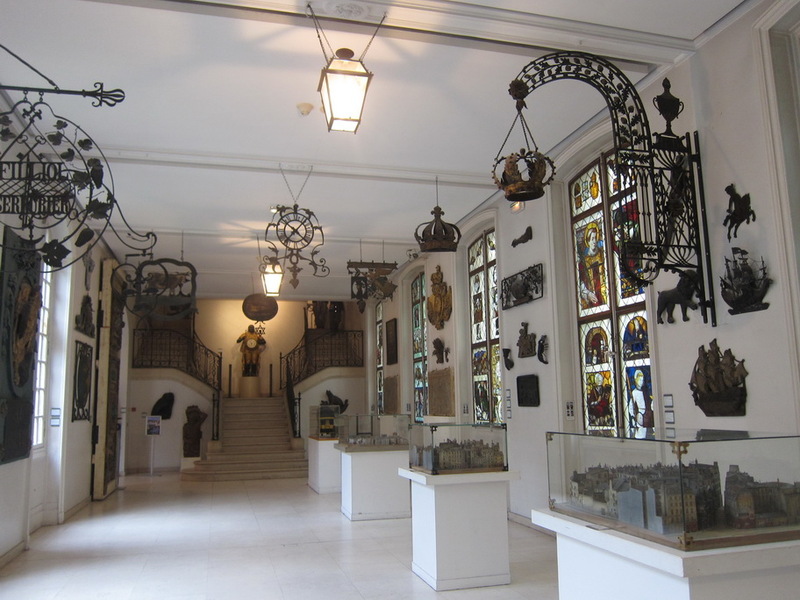 We visited two very charming and free museums in the 3rd Arrondissement. 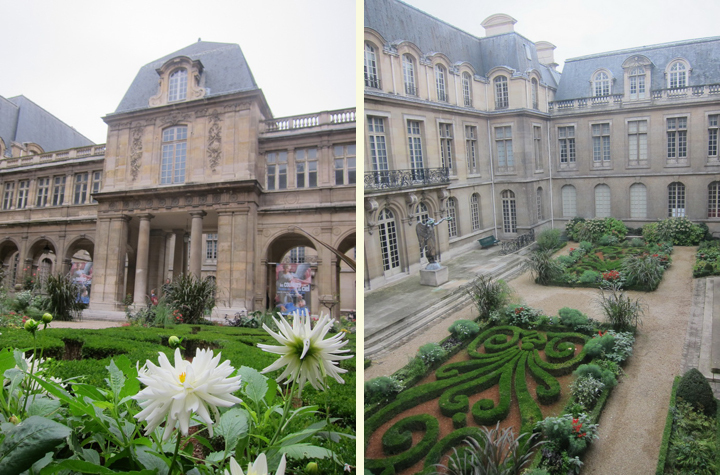 The first museum is the Musée Carnavalet, which focuses on the history of Paris. 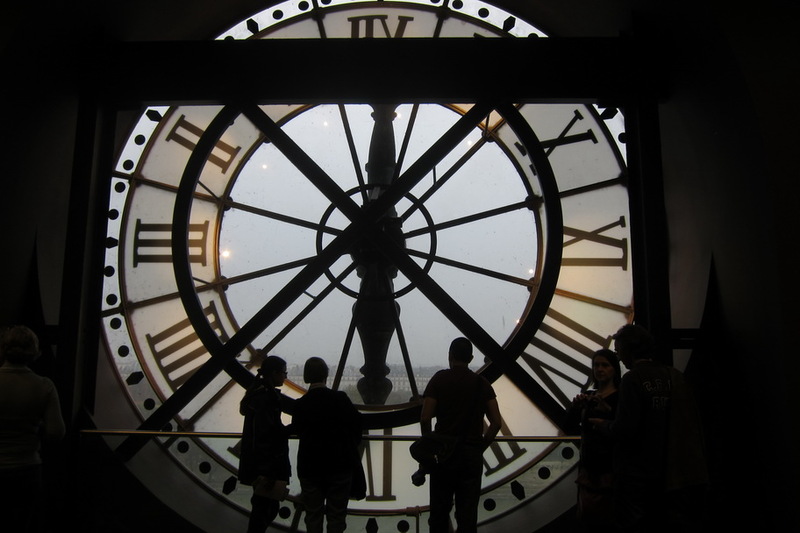 There are thousands of photographs, paintings, sculptures, and other works of art showcasing different time periods in Paris. 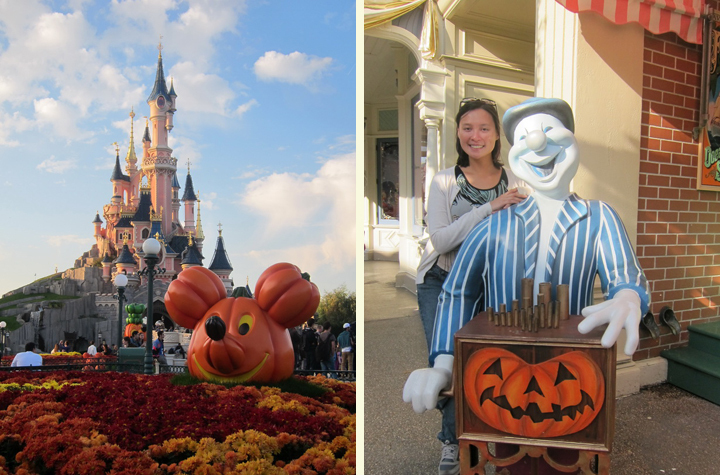 Mr. Selfish and I are spending a glorious six weeks in Paris. 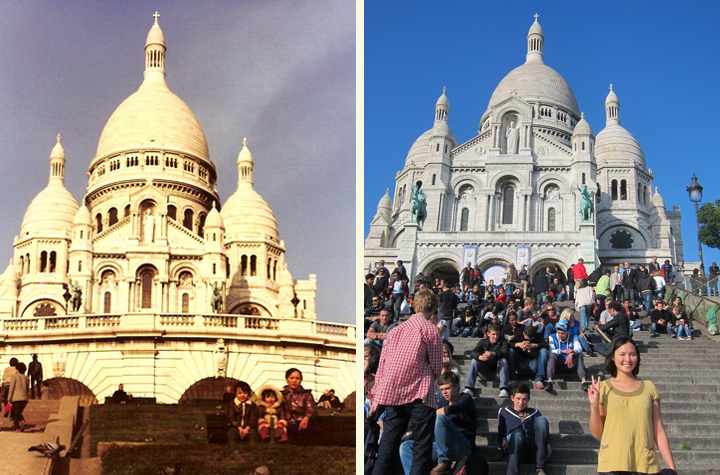 I’ve been trying to figure out how to organize my blog posts on Paris and figured that I would do it by arrondissements, which are the different districts in Paris. 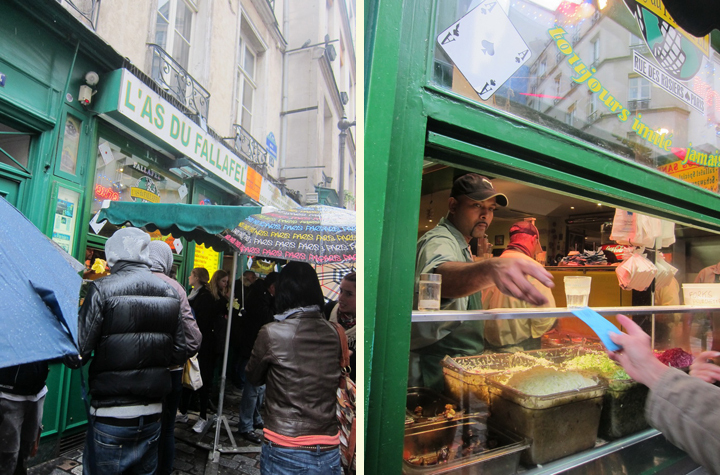 Paris has a total of twenty arrondissements – each with a different flavor. The arrondissements are organized in a clockwise spiral. 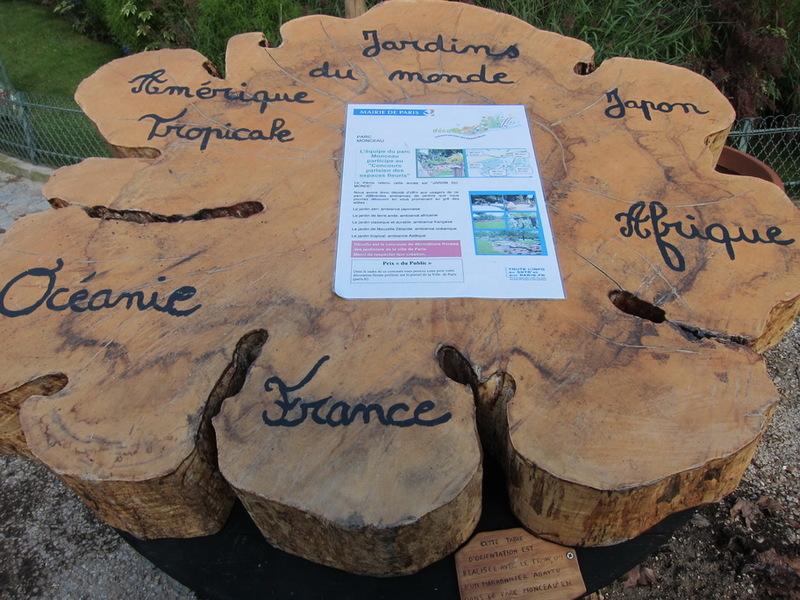 The arrondissement of each location is indicated by the last two digits of the postal code. 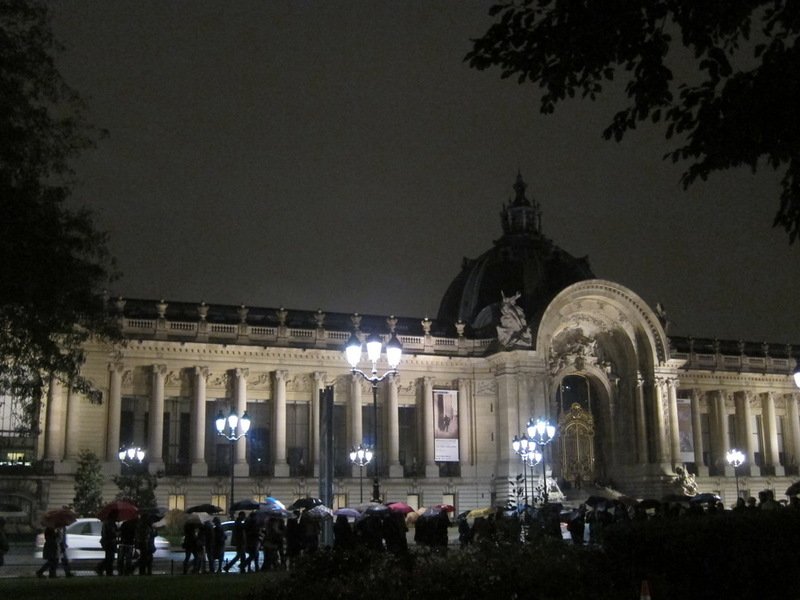 Nuit Blanche is an annual all-night art festival in Paris. 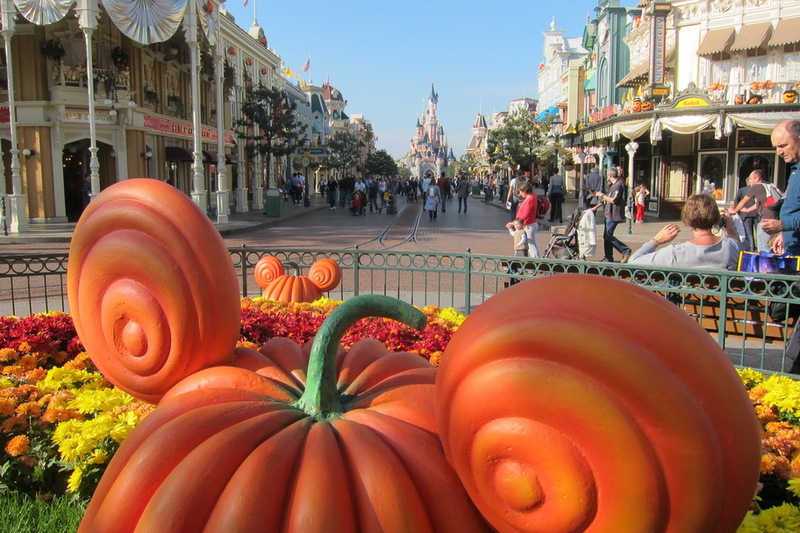 During this one evening, which is typically in October, museums are opened until the wee hours of the morning with free admission and art exhibits are on display throughout the city. 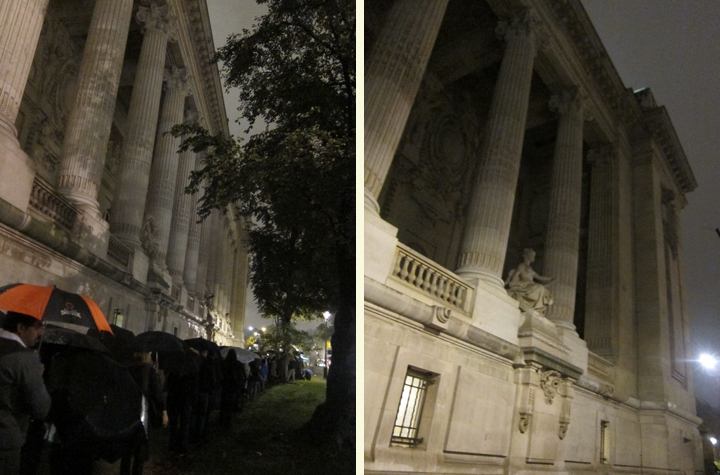 Mr. Selfish and I were lucky enough to be in Paris for Nuit Blanche 2012, which was on October 6th. 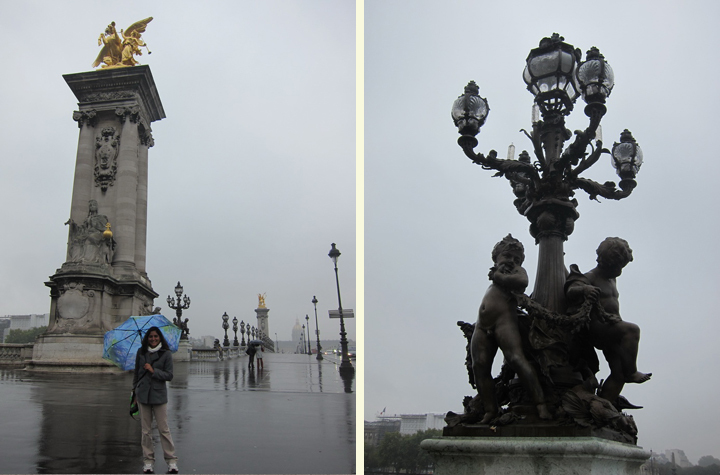 We went with my little Parisian cousin, Lisa, and had a blast – despite the rain. 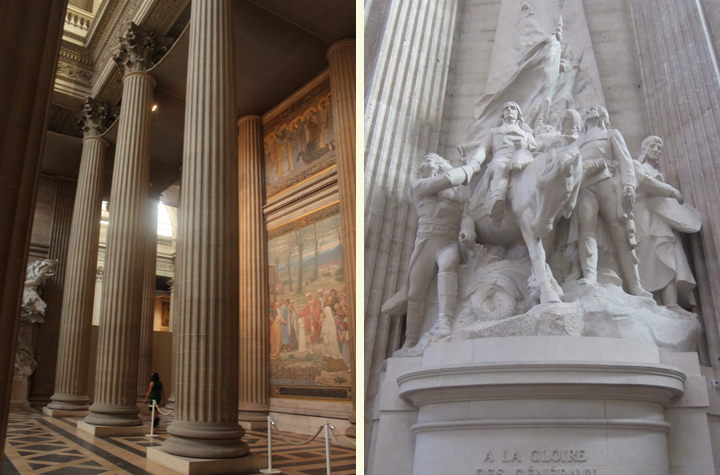 First, we headed to the Grand Palais. 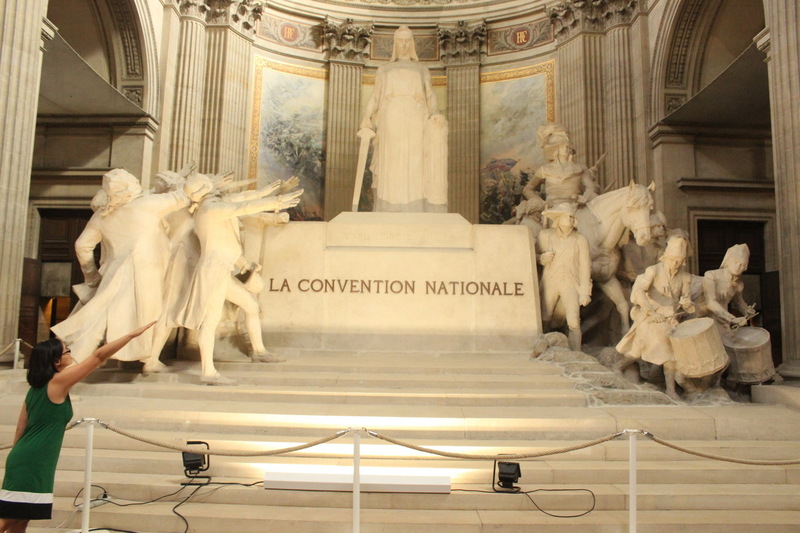 It is located on the Champs-Élysées in the 8th arrondissement. I always admired the building and figured we would take advantage of the free admission during Nuit Blanche. 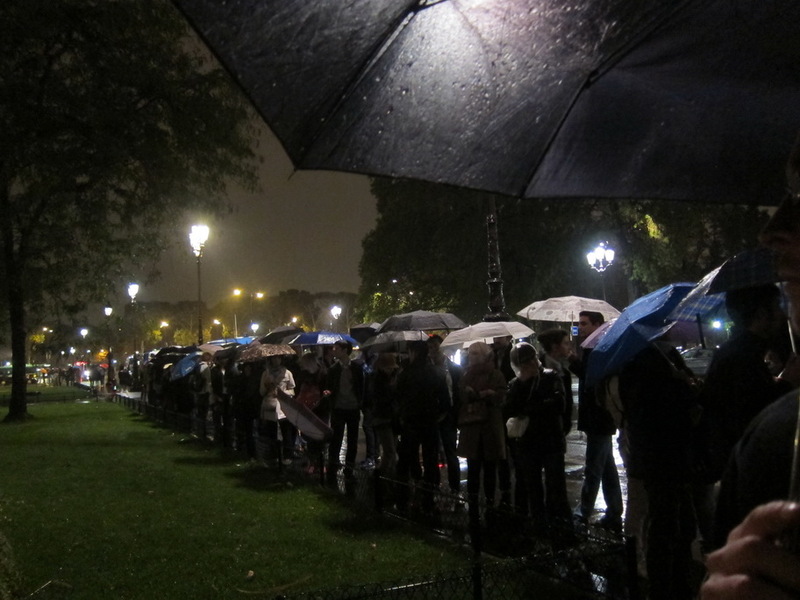 The line was quite long, but it was still early in the evening so the line moved quickly. We were only in line for about 20 minutes. 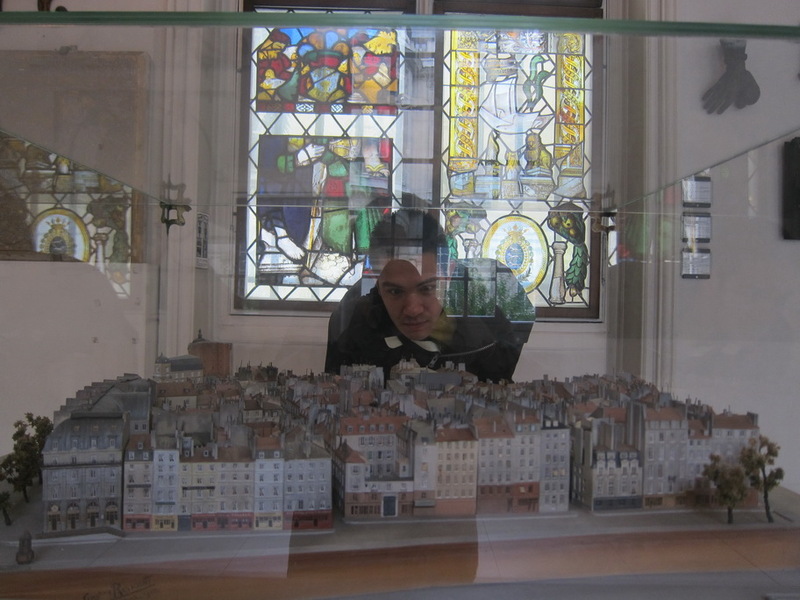 In May 2012, Mr. Selfish and I spent four days in Amsterdam, Netherlands. 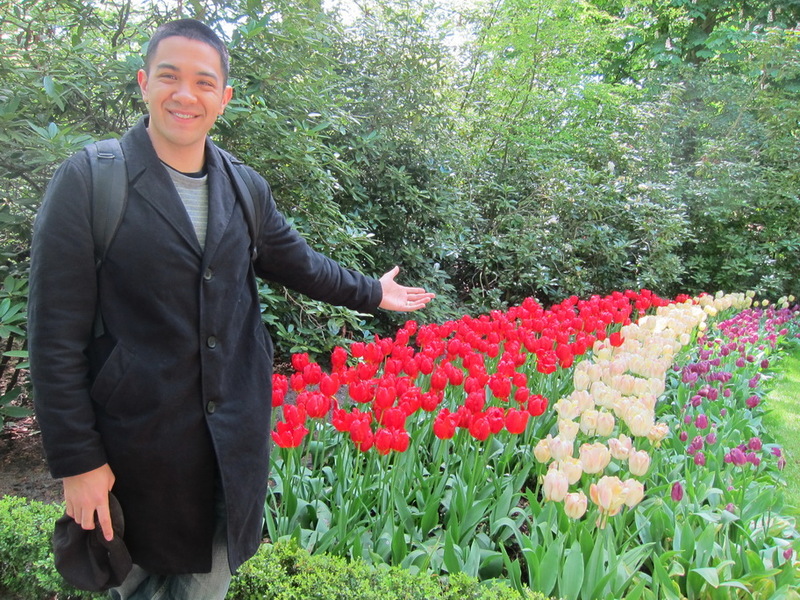 I had always dreamed of visiting the tulip fields in Amsterdam, so I accordingly planned a trip to Keukenhof, which is the world’s largest garden in nearby Lisse, Netherlands. 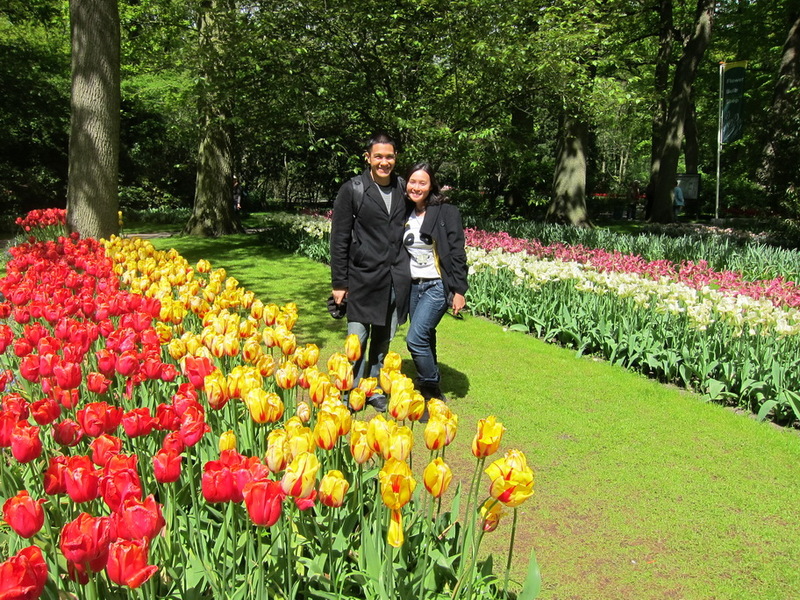 Keukenhof is open from mid-March to mid-May each year. 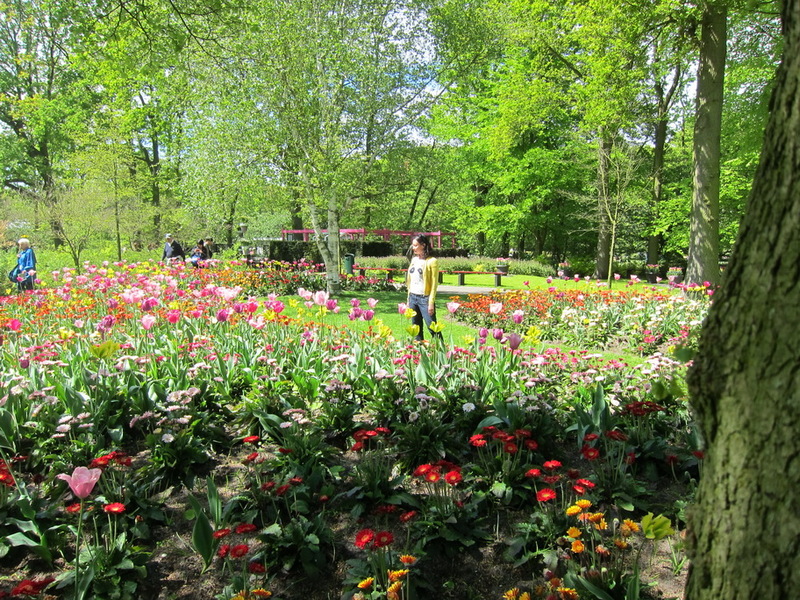 Unfortunately for us, we went at mid-May, which was the end of the season for the tulips. 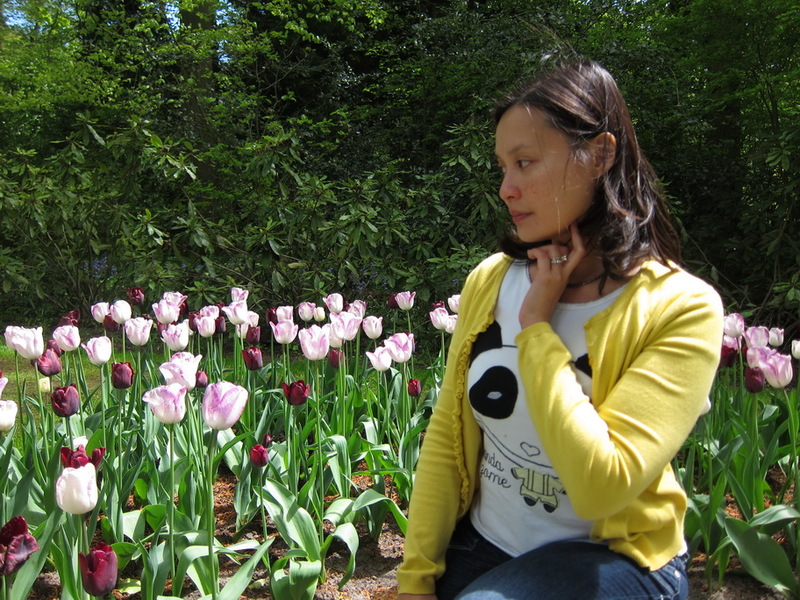 To my dismay, a lot of the tulips were dead by the time we arrived. 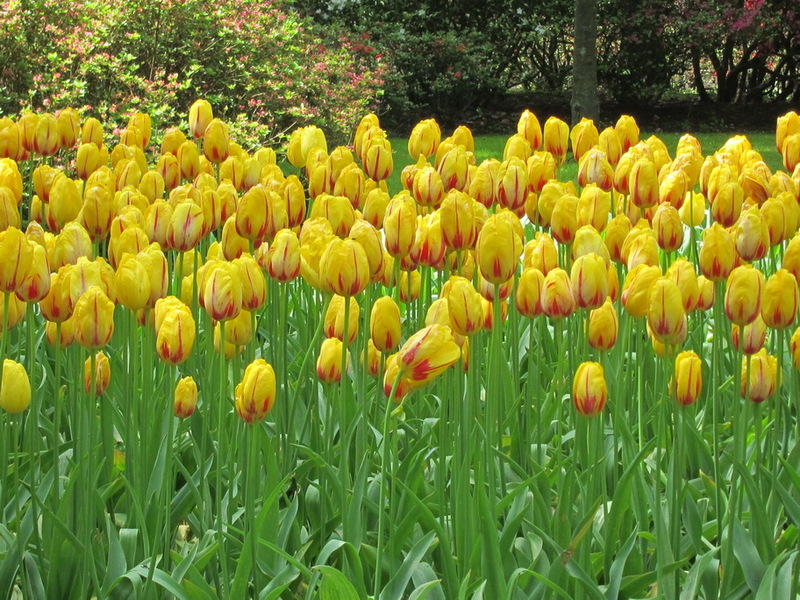 I would recommend going mid-April, which is the height of the tulip season. 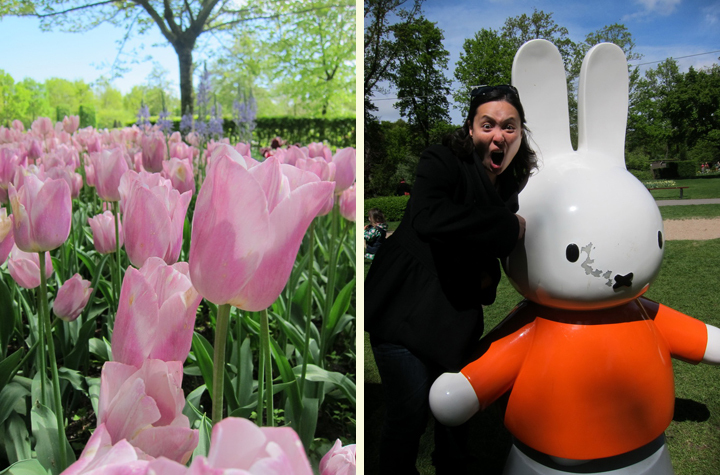 It was still lovely – even if the tulips weren’t in full bloom. 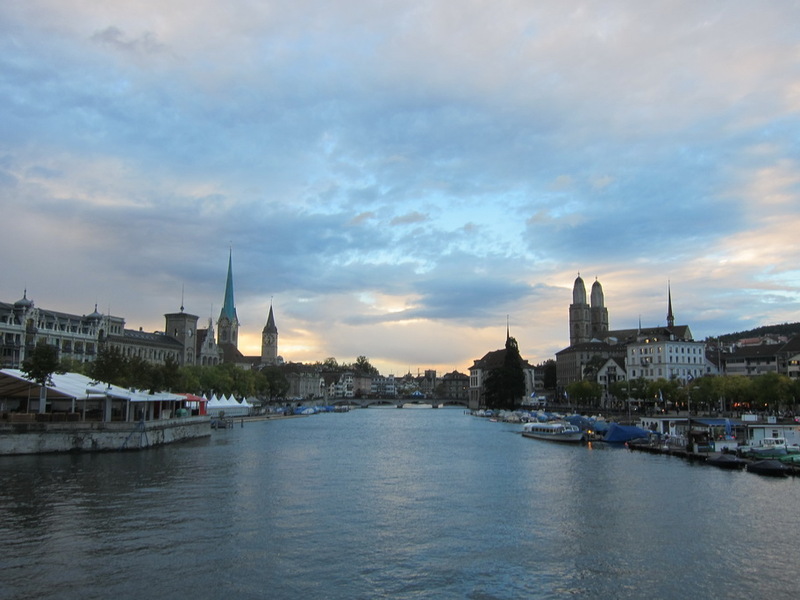 The city center of Zurich has three beautiful churches – Grossmunster (Great Church), Fraumunster (Church of Our Lady), and St. Peterskirche (St. Peter’s Church). I can’t decide whether I like them better at dusk, night, or daytime, so you can judge for yourself. 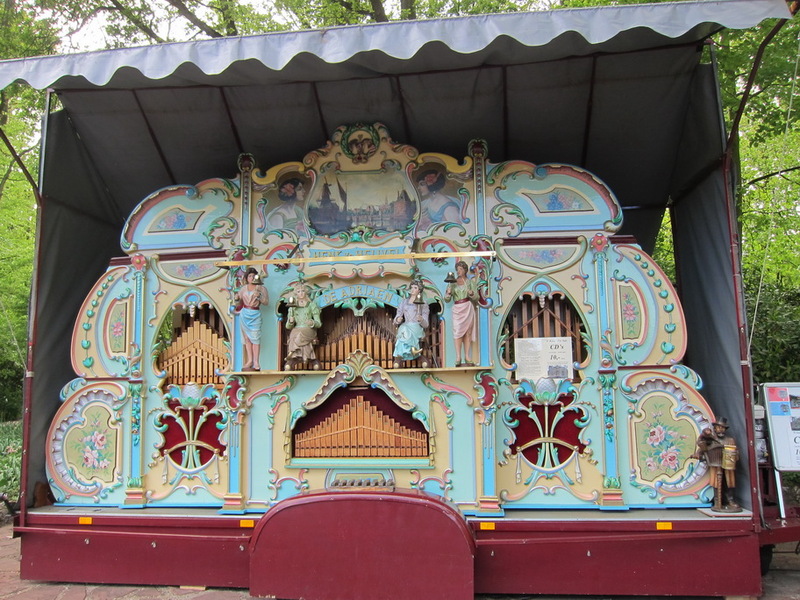 Fondue, Hot Chocolate, and Sausage in Zurich? Mr. Selfish and I have a difference of opinion on certain types of food. While I love fondue and hot chocolate, he can do without both. 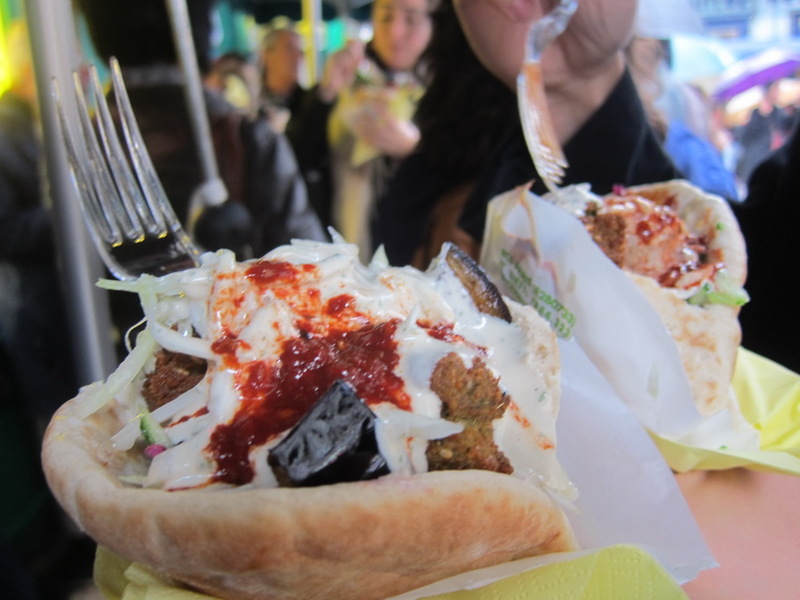 However, when we came to Zurich, Switzerland, I knew that we would have to try the specialties of the region, so I forced him to eat fondue and drink hot chocolate. Yes, I know – it’s a horrible existence for Mr. Selfish. 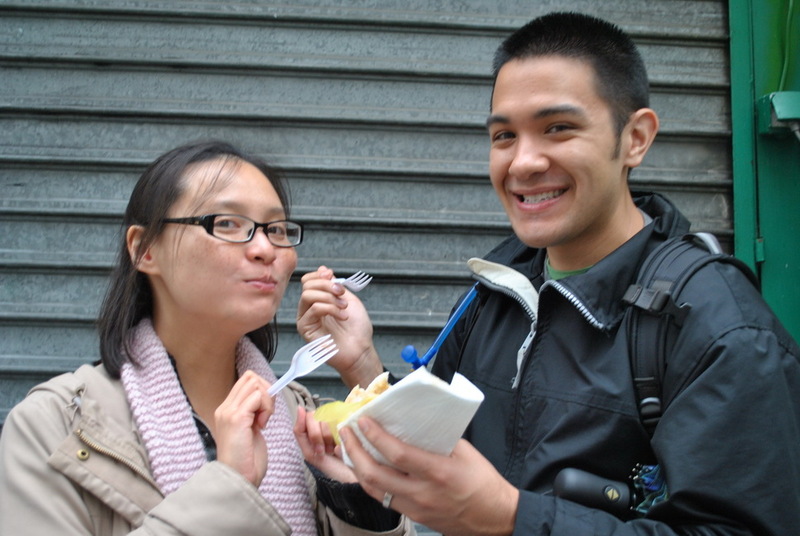 We tried two fondue places. 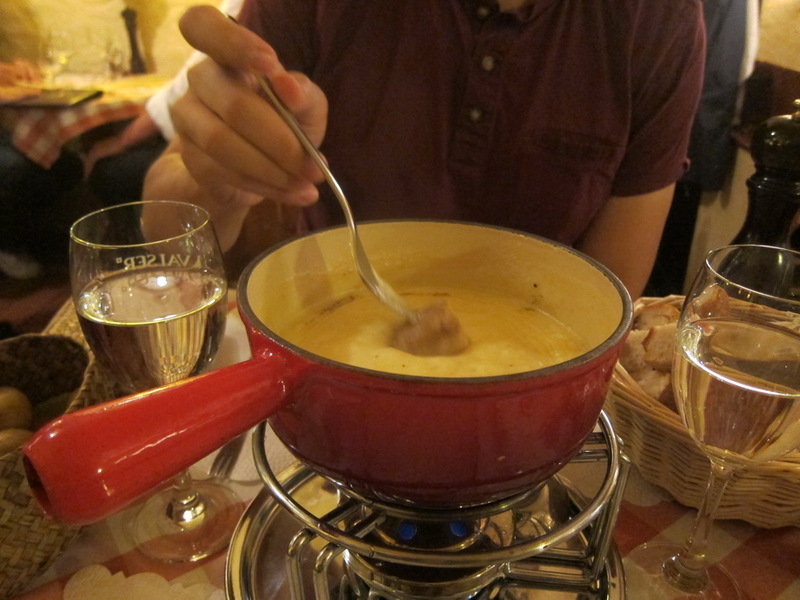 Through these two places, we gleamed a few things about Swiss fondue. 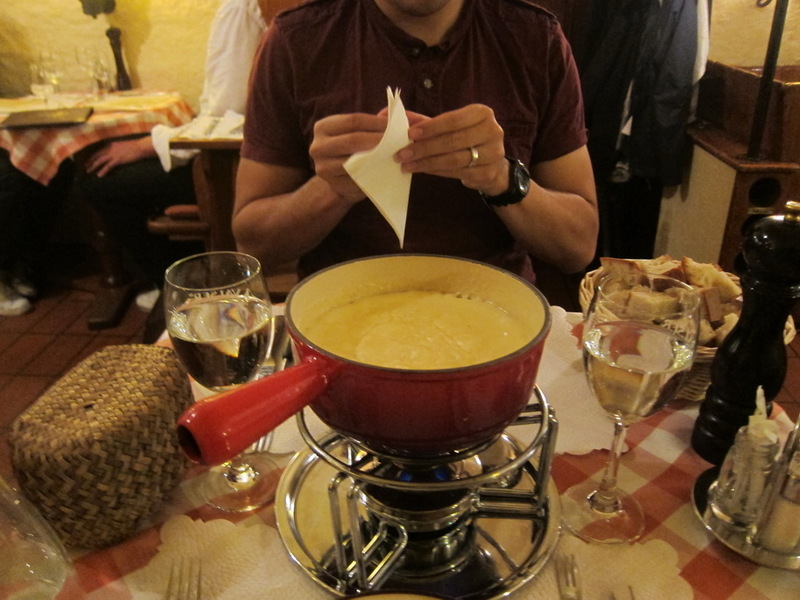 First, the Swiss don’t serve many veggies with their cheese fondue. The options were either bread and potatoes, tomatoes, or pickles. Second, cheese fondue is quite filling. 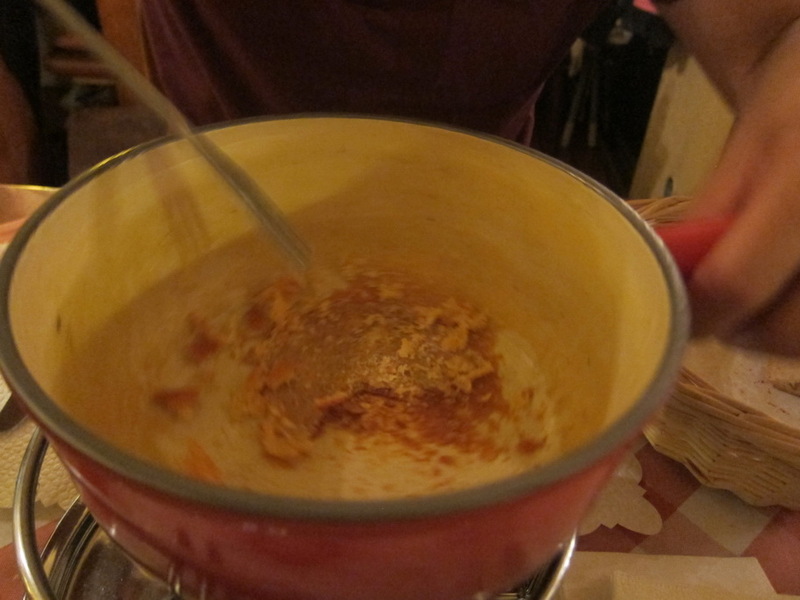 Third, the best part of the fondue is the hardened cheese at the bottom of the pot. It takes some scraping but it’s completely worth it. Fourth, the Swiss don’t serve chocolate fondue for dessert. Surprising, I know. 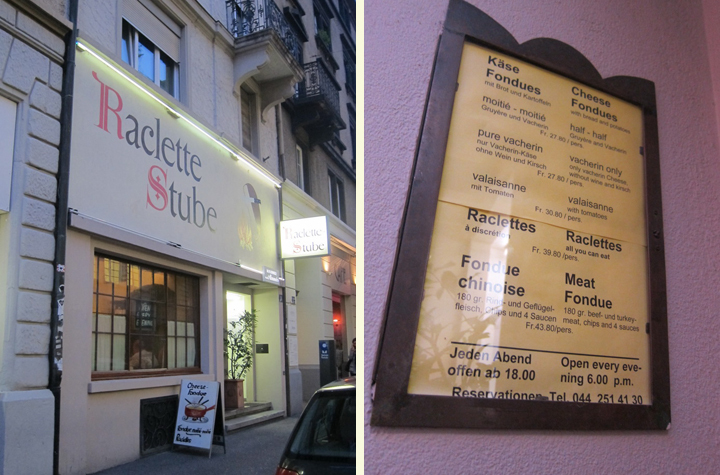 The first fondue restaurant we tried was Raclette Stube, which was a small little restaurant serving only fondue. Raclette Stube was very delicious and, as we learned later, very well-priced. 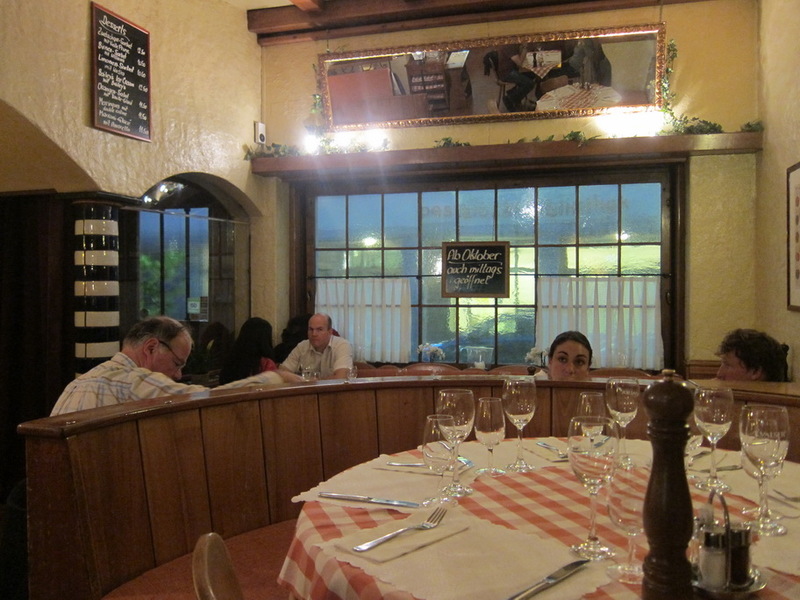 We also enjoyed the ambiance of the small restaurant.